This is the latest in our Weekend Poll series. For last week's, see What Ice Cream Sandwich Feature/Improvement Are You Most Excited About? A few days ago, a post by Industry Gamers titled "GTA Developer Blasts Mobile Gaming for Being Focused on Money Over Quality" sparked quite a debate between Artem and me. We are both fairly old-school gamers, with a history of playing games via consoles and PCs since childhood. Despite both of us being long-time gamers, we had utterly different opinions on the current Android gaming situation. See, Artem was of the opinion that gaming on Android is pretty bad. In his eyes, the GTA dev was right: the focus is on making money, not making a quality product. While I agree that there's a lot of crap out there, I think there are plenty of great games on Android - it simply depends on what you're looking for. I don't expect (or want), say, a Battlefield 3-level experience on my phone or tablet. What I do expect is to have fun, quality games that I can play when I have time to kill and nothing better to do - maybe a quick game of Shadowgun or a few rounds of Fruit Ninja. So, what's your take? 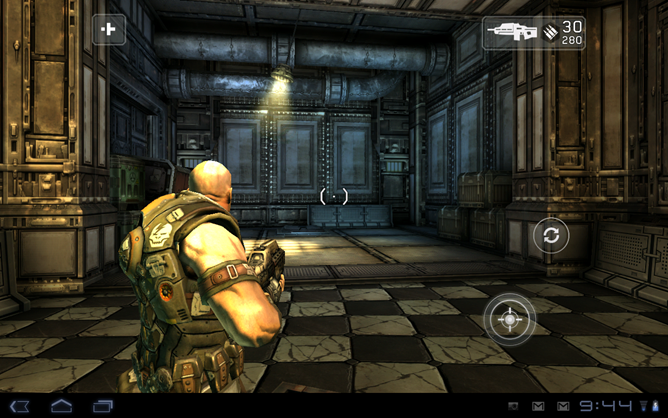 Is gaming on Android terrible, great, or somewhere in between? You know the drill: cast your vote in the poll, then head down to the comments to discuss and share some of your favorite games! Is Gaming On Android Lackluster? It could be better, but it's enough to keep me happy. No - gaming on Android is great!